The Poppy Seed has been creating copper wind chimes for more than 30 years. The top pipes are hand-formed from soft copper tubing. The copper pieces were originally stamped for us from a limited assortment of dies. The pieces are now designed and cut with our own plasma cutter. Owning the "cutter" and the controlling software allows us to be creative with our own shape designs. This also allows us to offer "custom cut" shapes to our customers. We can provide a truly one-of-a-kind wind chime. After cutting, cleaning, and polishing all pipes and pieces are treated to seal the copper and provide a deep copper color. 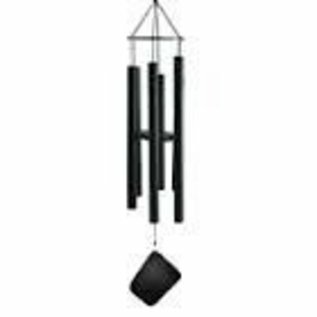 Poppy Seed Wind Chimes are created, assembled, and shipped from Wells, Maine, USA.